Nicki was at her party in NYC "Webster Hall" for Christmas, I kinda like this look the glasses are dope. Its a rare occasion we get to see Kanye without his beau these days, he was spotted out and about in West Hollywood. 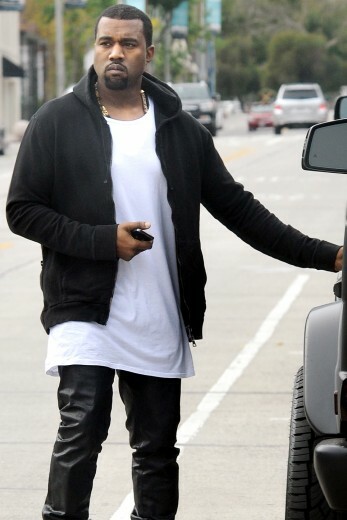 Whats up with the leather pants he has been rocking for the past year, I really hope the switches up for the new year. Despite all the drama Halley Berry and fiance Oliver Martin were spotted having a romantic walk through Paris.